For many people, the needle is only a source of fear. Needle phobia affects at least one in 10 people. But needle phobia may soon be a thing of the past! A team at the University of Texas at Dallas has come up with an alternative to traditional injections. They have developed a type of painless injection — biodegradable micro-needles that deliver drugs through a simple patch applied to the skin. Traditional transdermal injections can be painful and often leave ugly marks if not skillfully done. There is a risk of infection and they also produce bio-hazardous waste. But with this new method, a drug can be injected into the body without the patient feeling a thing — it is a truly painless injection. The patch applied to the skin consists of arrays of ultra-thin needles coated with a drug. Micro-needle arrays are made using a 3D printing technique known as “fused deposition modeling,” and polylactic acid, a renewable, biodegradable, thermoplastic material that’s been approved for use by the U.S. Food and Drug Administration. These microneedles have tips as small as one micrometer or one-millionth of a meter, and different needle shapes with a width of 400 to 600 micrometers with tip sizes between one and 55 micrometers. In comparison, a human red blood cell is about five micrometers wide. These microneedles need to be tested thoroughly before they are made available to the public. So, it might be a little while before you can honestly tell your kids that the needle won’t hurt. 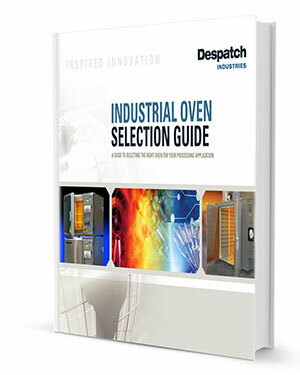 What are Laboratory Ovens Used for?